ROTOCAV cavitator, a E-PIC S.r.l. proprietary technology, generates controlled hydrodynamic cavitation to produce biodiesel from vegetable oils, animal fats and biodiesel from waste cooking oil. Biodiesel is a liquid fuel obtained from vegetable oils and animal fats (constituted by long chain of mono-alkyl esters of fatty acids), which has similar combustion properties to fossil diesel, and the potential to reduce CO2 emissions and greenhouse gases of about five times. 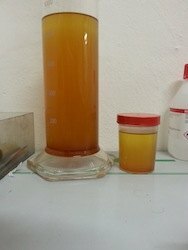 Vegetable oils and animal fats are more viscous than petrol-diesel, and they are not suitable for the modern diesel engine: the high viscosity results in poor fuel atomization in modern diesel engines, leading to problems derived from incomplete combustion such as carbon deposition and coking. 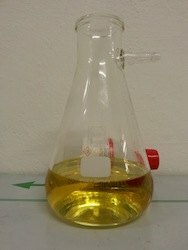 To overcome this problem, triglycerides are converted to less viscous fatty acid esters by transesterification with an alcohol, most commonly methanol. The transesterification process is the reaction of a triglyceride with an alcohol (methanol) to generate esters and glycerol. A triglyceride has a glycerin molecule as its base with three long chain fatty acids. During the esterification process, the triglyceride reacts with the alcohol in the presence of a catalyst, usually a strong alkaline base like sodium hydroxide (NaOH) or potassium hydroxide (KOH). 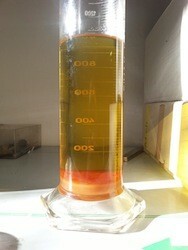 The alcohol reacts with the fatty acids to form the mono-alkyl ester, or biodiesel, and crude glycerol. How to use the ROTOCAV cavitator as a biodiesel process intensification technique? E-PIC S.r.l. ROTOCAV technology is able to transform triglycerides into biodiesel continuously, or in batch or semi-batch, providing small, medium and large size plants (according to customer needs). What yield can I have by using a ROTOCAV hydrodynamic cavitator as a booster for the reaction in biodiesel production? 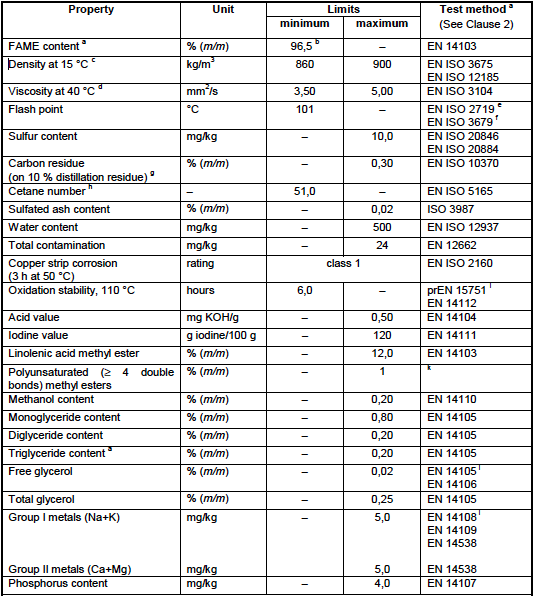 It is possibile to have a conversion to biodiesel of 99% m/m (minimum conversion for EN-14214 (EN-14103) is 96,5% m/m). 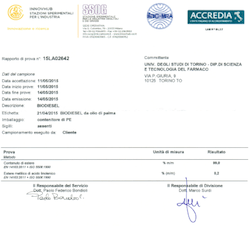 Check the results of analysis of our biodiesel made by INNOVHUB (Stazione Sperimentale per l'Industria). 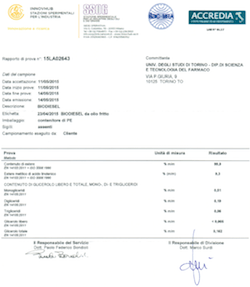 Our tests are also published on Ultrasonics Sonochemistry, by Sciencedirect (Elsevier), which is one of the most important scientific international journal: the scientific article is available here: Biodiesel production process intensification using a rotor-stator type generator of hydrodynamic cavitation. Which are the advantages I can achieve by using a ROTOCAV hydrodynamic cavitator in biodiesel plants? Oils (triglycerides) and methanol (alcohol) are not completely miscible and the transesterification reaction occurs at the interface between the two phases. The mass transfer of the triglycerides from the oily phase to the oil-methoxide interface represents a critical aspect which limits the reaction rate. The ROTOCAV hydrodynamic cavitator allows to overcome this process limit, decreasing the size of the drops of the dispersed phase in the continuous phase, increasing the interface area. Moreover, hydrodynamic cavitation speeds up the kinetics, thanks to the continuous generation of microjects that promote the generation of many and confined points of contact between the two reagents. 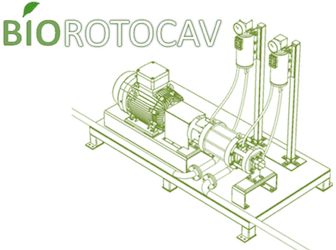 Therefore, the ROTOCAV cavitator is a technology that produces high quality biodiesel at low operative costs. Are you interested in this technology? Please fill in THIS QUESTIONNAIRE and send it to us or CONTACT US with your requests.